My wife complained the water bill had gone to the moon (again) last month. Even HomeownerBOB has sprinkler leaks!! 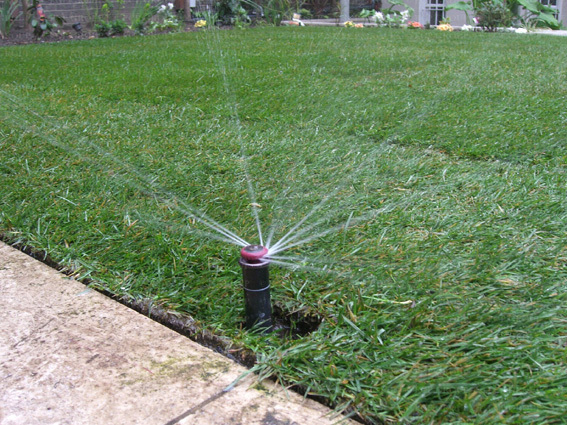 In this post I hope to show another way to identifiy water leaks in automatic lawn sprinklers. After doing the basics, it was obvious, it would take a little more effort. At this point, I still had no idea where the leak was other than I was confident it was past the valve as the meter was not moving otherwise. Most sections should use near the same amount of water except where it might be a very small section or (in my case) I have 3 sections using emitter tube for drip irrigation, but even in this case there should be some relative similarities. Access the water meter for the property, clean the meter face or get to where you can watch the meter move. If you have a controller that has a test sequence, set it to 1 minute. If not, have some one manually operate it at one minute per section. Once it starts, watch the meter (this is not real scientific, but you are looking for a difference in the trend. You should beable to recognize when the watering changes from one zone to the next as the water meter will stop (very briefly) then start again. In most cases the meter will briefly run very fast, then (noticeably) slow down. Compare the speed and gallons used by each section. (your comparison should be like for like, in other words, pop-up sections to pop-up sections and so on. If you find a section that does not trend the same way (i.e. does not slow down after the initial turn up), it is likely that this is your problem zone. In my case, I had two that looked funny. Stop the test and run just the sections that appeared perculiar. Walk the entire section, head by head to find larger quantities of water. In my case, the problem was in the emitter section. It is not unusual to spring a leak in these sections either due to driving a shovel (my wife) through one, or one of the ends coming open. It ended up being neither, but was caused by an inline filter I installed (below ground under this cover) to keep the emitters clean. This has happened to me before on a different section as I used these fancy filters that self clean them selves, unfortuntly they tend to stick open, and they have to be replaced. I replaced them with a non-self cleaning type. I have one more that could go bad, so its only a mater of time. Make sure and click on the Lawn Sprinkler tab to see all my articles on lawn sprinklers. Summer is Here!!! You can plan on one thing here in Texas, the weather is always changing. While both the East and West Coasts have been having bad weather, its been quite pleasant here. Being nearly half way through July, we have only seen about 3-4 days over 100. It’s been GREAT!!. This seasonal reminder is more about making sure everything continues to work well through the stress and strain of the summer months more than anything. If you live near me, getting these things done before 10 AM in the morning is the best time of the day, otherwise you may wait till after 6 PM or so (stay hydrated; regardless). If you need details on what to look for or what to do, click on the link (if there is one) and it will take you to the post that was written on the subject and provide more detail. Heating/Cooling-Air Filters: If you live in a dusty area and/or have been using your air conditioner a lot, inspect you filter and change it if it has noticeable build up from your spring change out. HVAC Outdoor Unit: We did this in the spring and it’s good to do it again as vegetation has been growing through the spring months. Get your garden trimmers out and trim away any vines or growth away from the outside condenser. You should have 18″ to 2 feet of clearance around the unit. 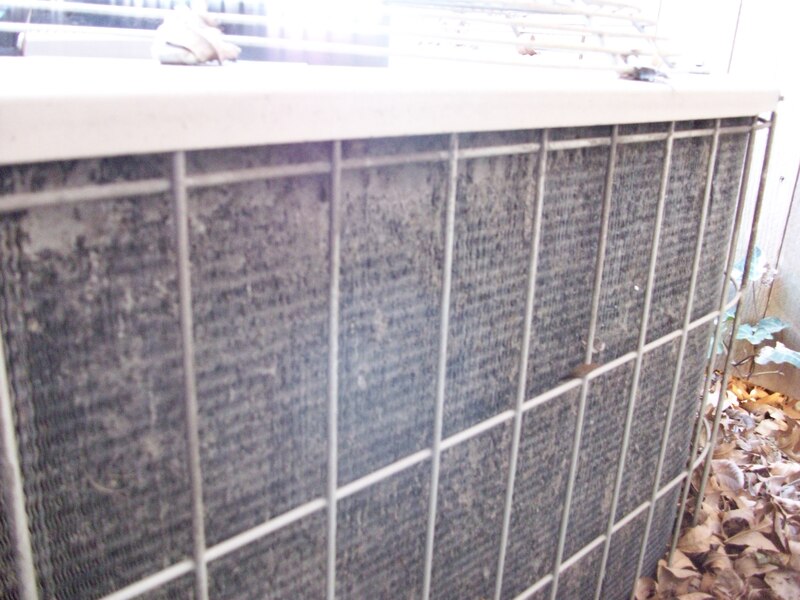 Airborne particles generated by the blooming of trees and flowers can easily show up around the air conditioning condenser. Take your water hose and wash down the outside coils. Check the condensation drain that comes from the air handler in the house. Ensure that it is clear of obstacles or debris by pouring water through it. Water Leaks: Check all water fixtures and toilets for leaks. 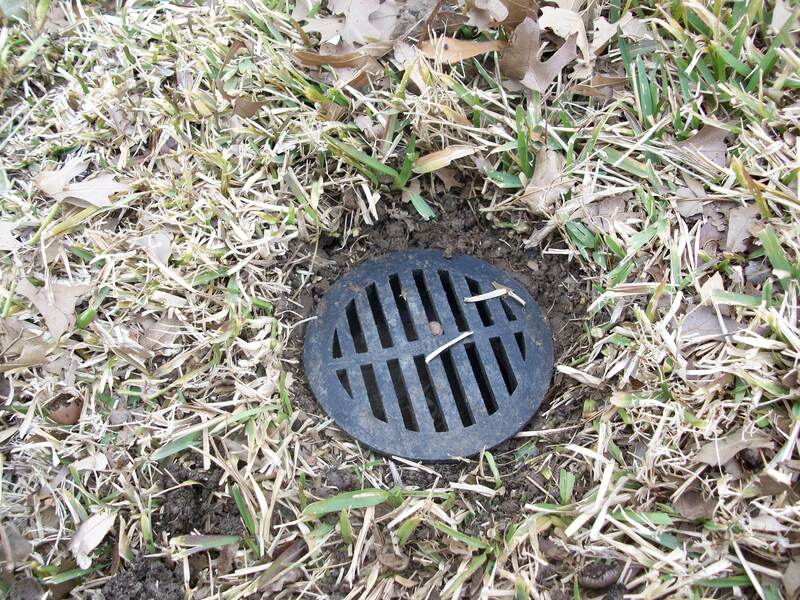 Inspect fixture drains for water puddles or loose joints in the traps. Water Heaters: Make a visual inspection of the water heater. Look for dripping water and rust stains. Look at the exhaust flue to ensure it is still sealed. If its time to drain the tank or replace the anode, check the link for more details. Lawn Sprinklers: Even though we performed this maintenance during the spring, yard work and vegetation growth can cause some additional sprinkler maintenance. Exercise the system (again). Look for excessive water traveling down the driveway or sidewalks. Inspect the sprinkler heads, look for blow-by, odd spray patterns, missing heads, pooling water and brown spots. Replace or repair the heads. 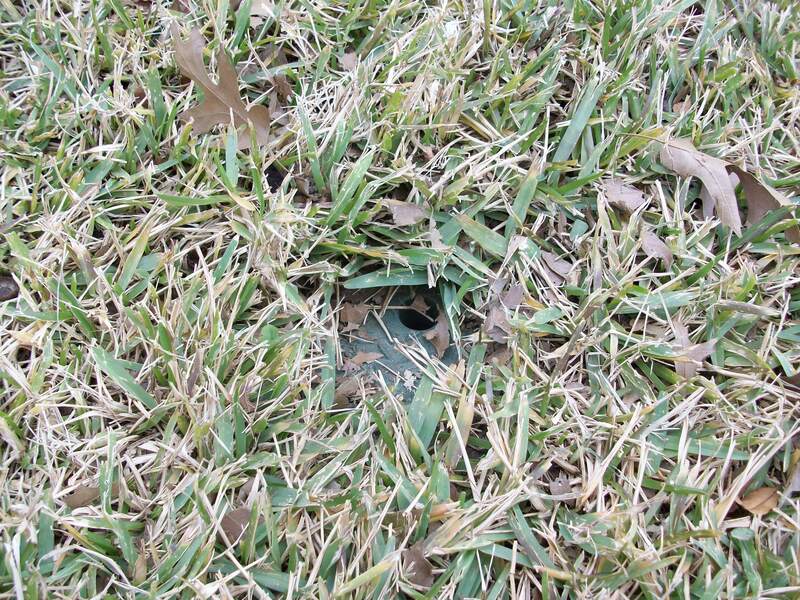 Chasing Lawn Sprinkler Leaks is the first of the series and covers the inspection, leak detection, repairs and tips in more detail. 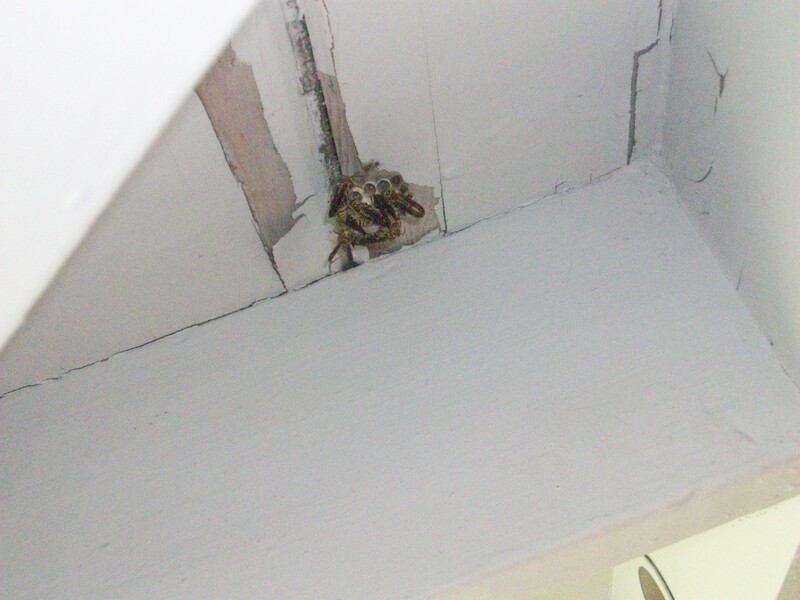 Exterior Inspection: Walk round the house, look for bird and wasp nests, as well as locations that rodents might be using to get in the house. Use caulk to re-seal any breaches in structure that may be an entry point for rodents or bugs. They are all looking for cool locations and possible water. If you are not opposed to using perimeter bug spray, this is a good time. Interior Inspection: Flush kitchen and bathroom sinks with scalding hot water for approximately 3-5 minutes to clear out any build up. “Water Leaks”, cover this item too. Appliances: Use a hand-held vacuum cleaner to clear the dust bunnies from around all appliances such as washers, dryers and dish washers. Pull you refrigerator out from the wall and do the same. If it’s within your skill set, turn off the unit, pull the back cover off, and vacuum out the condenser coils and all the dirt around the fan. Surface Water Drainage: Gutters, culverts, waterways and landscape drainage systems should be cleared of debris and overgrowth that has occurred. Electrical Service: Inspect the Entrance, Mast and Weather-head. With tree limbs heavy with leaves, seed pods, fruits and nuts, you may have some limbs that are drooping on your electrical service lines. Electrical Service-Smoke Detectors: Clean your smoke detectors of cob webs and change the battery. Test your security system: Work with monitoring service to validate all the door, window, glass break, and motion sensors operate properly. You are currently browsing the Homeownerbob's Blog blog archives for July, 2013.